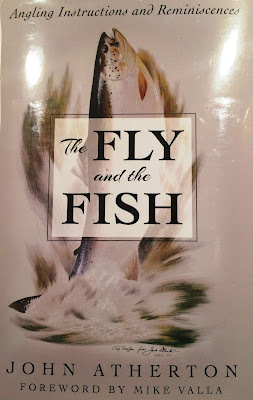 If you haven't read it already, John Atherton's, The Fly and the Fish, has been republished. This time with a forward by our friend and fellow fly fishing author, Mike Valla. This book was first published in 1951, and many of Atherton's ideas and approaches to fly fishing were ahead of their time. He was an original "outside of the box" thinker; an artist by trade and a tinkerer by nature. So put down your laptop, ipad or other electronic leash, and sit down and read this wonderful book. I guarantee you will learn something, and it will change the way you think the next time you wet a line.